Team Liyab, the professional esports team of Globe in partnership with Mineski, continues on its quest to dominate PH esports as it scored a spot at the Globe Philippine Pro Gaming League - Arena of Valor (PPGL-AOV) championships this season. During the preliminaries, the team bested Gorilla Gaming and Resurgence in a series of adrenaline-pumping, heart-stopping games, again through impeccable focus, determination, patience and impeccable display of teamwork. The Indonesia joust will see Team Liyab lock horns with some of the best esports athletes in the region such as M8HEXA from Singapore and Malaysia, FAPtv from Vietnam, Devita of Thailand and two of the best teams from host Indonesia - EVOS Esports & Saudara Esports. The teams will all try to bring home, aside from the ESL Clash of Nations regional crown, a share of the USD 50,000 prize pool. Then a week after, Team Liyab will head off to battle with other top teams such as Bren Esports, Kidlat Esports, and Resurgence for the grand title at the Globe PPGL Arena of Valor Season 4 this coming April 6-7, 2019. 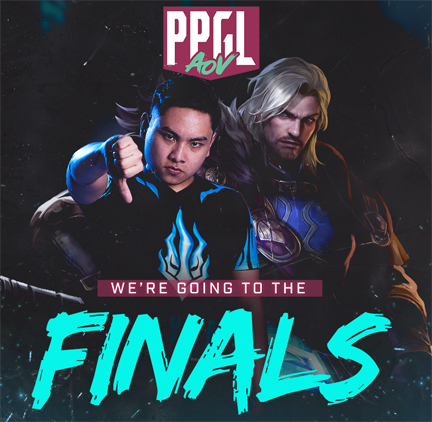 Team Liyab AOV will also be together with Team Liyab League of Legends as both teams entered the PPGL 2019 finals. Liyab hopes to win the back-to-back championships for League of Legends and Arena of Valor.